PACIFIC DLC is out now! « PACIFIC DLC launch date – 26 October 2017! Woohoo the PACIFIC DLC is finally there, waiting for you! 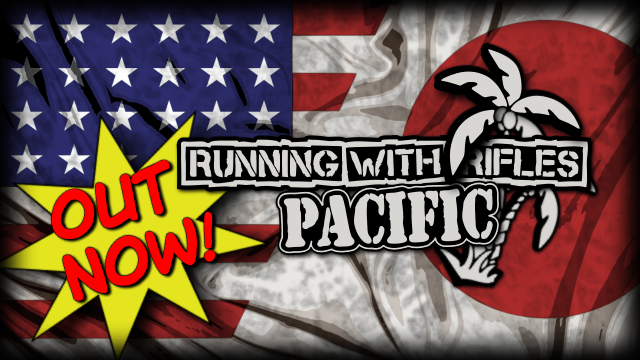 The idea for Pacific initially rose before the release of Running with Rifles on Steam, thus in the beta phase of the game. 3 modders and fans of military history games who all made solid mods for RWR (Overlord, Running with Trench Foot, Running in the Trenches…) decided around 2 years ago to work together to bundle their talents in a common project, that’s when the Pacific project started. Some time later, after we at Osumia Games got informed about the ongoing project, we decided to develop it together to make it a DLC-worthy project. Pacific DLC has been translated to all the same languages as RWR except for Russian which is still under work at the moment. It should follow in the next few days! The theme music of this new DLC is shocking and amazing! I am wondering if I could get it from you? I will be grateful if you send me the song.